It's been a while since we've spotted a good fake BlackBerry, but this time around all the work was done for us. 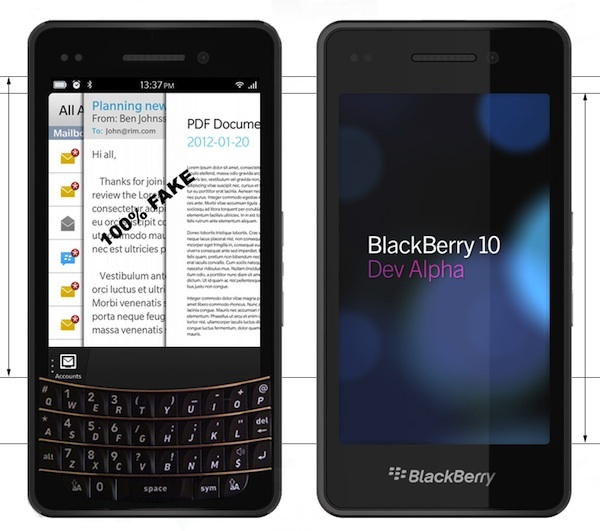 Forums member Superfly_FR posted up this Photoshop of the BlackBerry 10 Dev Alpha sporting a full QWERTY keyboard. As noted in the forums post, there is certainly enough room for a standard BlackBerry keyboard (I'm down with a Bold 9900 keyboard on this baby). As RIM CEO Thorstein Heins said at BlackBerry World, we'll still see BlackBerry devices with a physical keyboard, so maybe down the road this won't be too far fetched. What do you think of this design? Is it good? Bad? Ugly? Sound off in the comments!